The United States government lifted its restrictive policy on crude oil exports in December 2015. In September and October 2017, increased demand from Asia and Europe has caused US seaborne export of crude oil to surpass the US seaborne export of oil products in terms of billion tonne miles, according to research carried out by global shipowning body, BIMCO. This change is due to US crude oil being exported twice the sailing distance of US oil products. 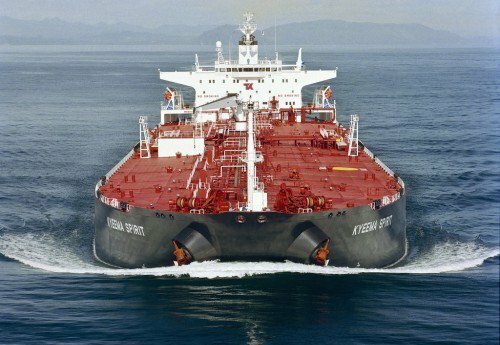 In October the seaborne exports of crude oil amounted to 46bn tonne miles whereas the US export of oil products was equivalent to 43bn tonne miles. Despite the US seaborne exports of crude oil, being half the amount of seaborne oil product exports in October 2017 – in terms of volume – it is now more important to the tanker shipping industry. This is due to the average sailing distance per exported tonne of crude oil being more than double the distance than the exported oil products.